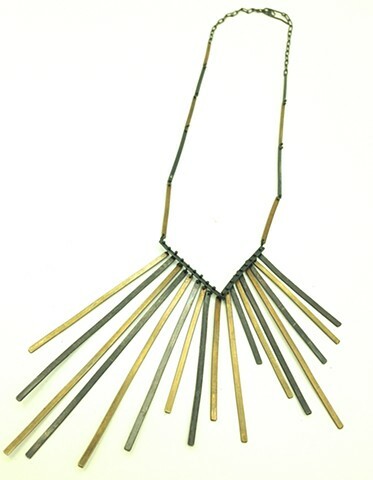 This kinetic fringe necklace follows your movement and playfully drapes on the body. It might be too subtle for Stevie Nicks, but the fringe pays homage to her! Made of oxidized silver and brass with 3” of adjustability for all your necklines.